It’s a big week for genealogical education, with registration opening today at noon for the June courses at the Genealogical Research Institute of Pittsburgh and registration scheduled for Saturday for another great opportunity to advance your genealogical skills. Yes, Saturday, February 25, 2017, is the date, and 3 p.m. is the time — and you will be so sorry if you miss out on this one. Because that’s when registration opens, online, on the registration page for the Genealogical Institute on Federal Records (Gen-Fed). Gen-Fed offers an unparalleled opportunity to spend a week at the U.S. National Archives in Washington, D.C., learning the ins and outs of federal records research at both Archives I in downtown Washington and Archives II in College Park, Maryland. It’ll be held Monday, July 10 through Friday, July 14, 2017, kicking off with a required evening orientation on Sunday, July 9. 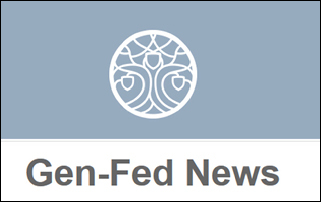 So… why Gen-Fed? Because it’s the one time you will ever have a chance to learn about researching at the National Archives from real experts — including NARA archivists — and then immediately put what you’re learning into action, pulling records and holding your own family’s archival treasures in your hands. Topics range from military, land, and immigration records, traditional staples of the institute, to Native American records, and records from all three branches of governments will be studied during the institute—legislative, executive, and judicial. The Legal Genealogist will be there, presenting on court records and on the scope of NARA records available for almost all American families, and you want to be there too. So head over to the Gen-Fed website, and read the registration info on the registration page thoroughly and carefully, before 3 p.m. on Saturday. There are some things you can do in advance to be ready to move ahead in the registration process, like writing out a brief bio, and you definitely want to be able to move ahead. Why? Because (a) space is always very limited, (b) demand is always very high, and (c) demand is likely to be even higher this year because of the rave reviews from 2016 attendees. In other words, you snooze, you lose. And you lose big time. Because Gen-Fed is one of the very best offerings in genealogical education that can be found. With a history extending back to 1950, with its singular focus on federal records, with its hands-on opportunities to touch and feel and handle real records for our own families, with its stellar new director (Malissa Ruffner, JD, CG) and a stellar line-up of instructors, this is something you just do not want to miss. So… mark your calendar. Saturday. February 25, 2017. 3 p.m. Eastern standard time. Be there, and I’ll see you in July. Can’t wait Judy! The excitement for the “3 pm gong” Saturday reminds me of the thrill of waiting outside Ticketmaster with friends for limited Blink 182 or No Doubt concert tickets.